Clear Concepts can provide a complete package of IT managed services for schools or other educational institutions. Clear Concepts has cultivated a growing base of education clients through our commitment to learning, adapting, and embracing this specialized vertical market. Education is unlike any commercial business market; the needs are much different and we understand and appreciate the sheer diversity of technology requirements for today’s leading educators. 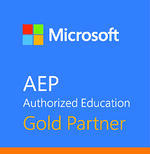 Our experience in Education includes Microsoft Office 365 for Education, OneNote, Class Notebook, Microsoft Classroom, Minecraft Education Edition, Blackbaud, JAMF, Apple School, Follett Destiny, and more. Contact us to find out how we can help your school.